1. Anne McCaffrey raves about the fantasy of Sharon Lee and Steve Miller, "Every now and then you come across an author, or in this case, a pair, who write exactly what you want to read, the characters and personalities that make you enjoy meeting them. . . . I rarely rave on and on about stories, but I am devoted to Lee and Miller novels and stories. Start at the beginning, dear reader, and you will be rewarded with a sanctuary you can escape to, as I do when this world we're stuck with is impossible to endure." 2. Mary Balog, author of Slightly Dangerous, heartily agrees: "I was mesmerized, awed, and totally entertained. I am hooked by the Liaden world. Bravo "
3. Sharon Lee and Steve Miller's The Sword of Orion (Phobos Books) was a Locus best seller. 4. Lee and Miller have published ten novels (from Ace and Meisha Merlin) in their popular Liaden series. 5. Lee and Miller have a huge internet presence and a rabid fan base. 7. Consumer advertising in Locus, Romantic Times and more. 8. ARC distribution to key accounts and reviewers. 10. Will have strong appeal to readers of Mercedes Lackey and Lois McMaster Bujold. Hidden from the human-inhabited world by the inimical magical device known as the keleigh, the Vaitura has become a subtle battleground where the once all-powerful Elder Fey strive against each other and the upstart Queen to regain ascendancy. Of all the Elder Fey it is Altimere who is strongest in magical kest and Altimere who is most devious. Pitted against Zaldore and her group seeking to manipulate the convelescing Ranger known as Longeye to foil the Queen and rule the world, Altimere dares to utilize the untested powers of half-human, half-Fey Rebecca Beauvally, recognized by the elemental denizens of the Vaitura as The Gardener. Now all plans must be rewritten: Becca breaks Altimere's capricious dominion with the dangerous herbal help of Duainfey, but, weakened by the effort, is held against her will in service to the Queen by Meripen's mysterious sea-lord cousin, Sian. Becca must escape the Queen's retainers to regain control of her own fate. With the magics of the Vaitura, and Altimere's retribution arrayed against her, she escapes with only her horse, a mad forest-living Brethren, and her freed magical servant Nancy at her side. 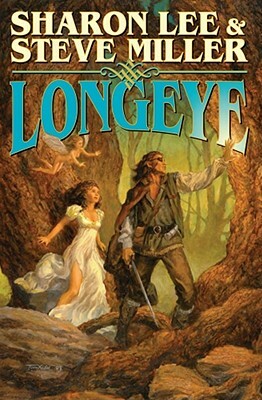 Worse, the recovered legendary hero Longeye, long beloved of the Vaitura's forest folk and creatures, has re-armed at Sian's bidding, and knows most of all about Becca that she is both dangerous, and of the same folk who cruelly tortured him and slew his lover before his eyes.